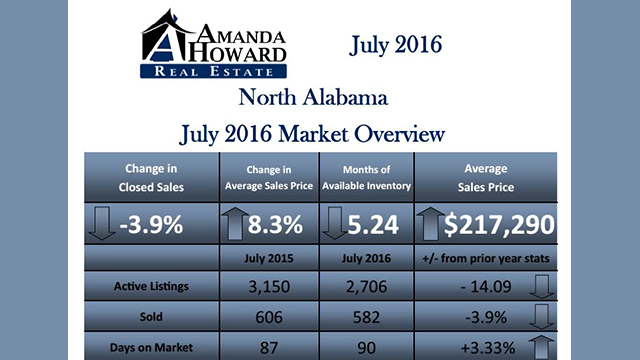 What’s Happening in the North Alabama Real Estate Market? Today I’m here with your market overview, comparing last year’s statistics to this year’s market. Our market has seen a few variations over the last 12 months. For example, the total number of residential sales fell by 3.9% from last year, with only 582 home sales this year. On the other hand, the median sales price increased by 5%, and the average sales price increased just over 8%. The number of days on market also increased by 3%, as it is now taking sellers about 90 days to sell their home. The average listing price went up to almost $222,000, and there are 6.75 months of inventory available on the market. You will see a complete breakdown of local market statistics below. With higher inventory and more days on market, we are shifting slightly into a buyer’s market. There are a few more sellers than buyers out there right now. 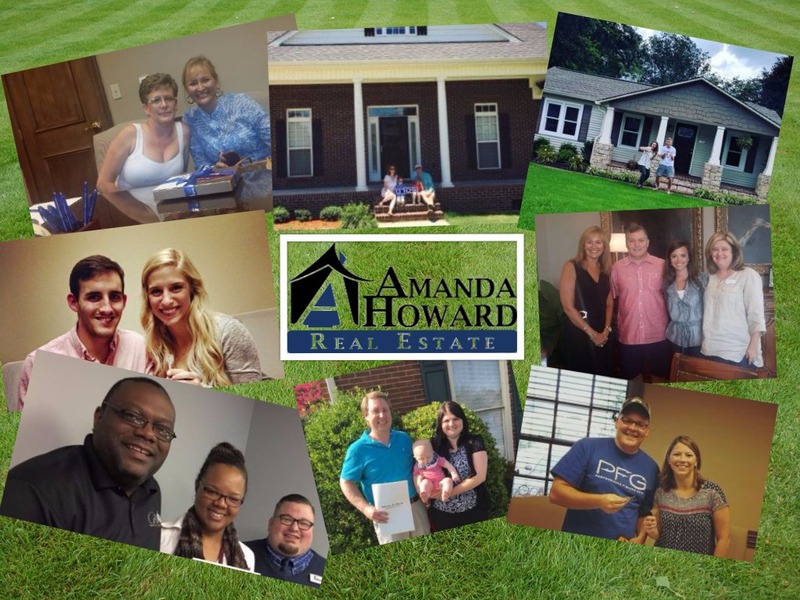 If you have any questions about navigating our current market, give me a call or send me an email. I would be happy to help you!